This week Anne Kimzey, folklorist with the Alabama State Council on the Arts, interviews banjo champion Weston Stewart. 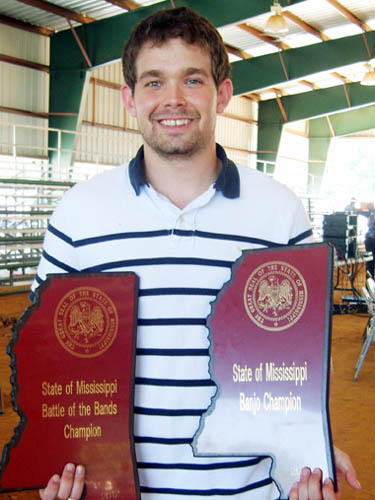 Weston, an Alabama native from Anderson, Alabama, holds 14 state titles on banjo, as well as the 2011 National Bluegrass Banjo Title. In 2013, he was the Tennessee state champion on both banjo and dobro. Stewart is a master artist with the State Arts Council’s Folk Arts Apprenticeship Program and is passing on his musical knowledge to students in North Alabama. For this week's show Community Arts program manager Deb Boykin interviews Xan Morrow, chairman of the committee for the Red Door Theatre for the Tourism Council of Bullock County and Midge Putnam, executive director of the Tourism Council of Bullock County. The Red Door Theatre, housed in a former Episcopal church, presented Conecuh People, its initial production, in 2004. Morrow and Putnam discuss the theatre’s emergence as a regional tourism destination and a showcase for plays about the South. In this program Visual Arts Program Manager Elliot Knight interviews Alabama artist Ethan Sawyer about his past work and current exhibit at Kentuck Art Center in Northport, AL. 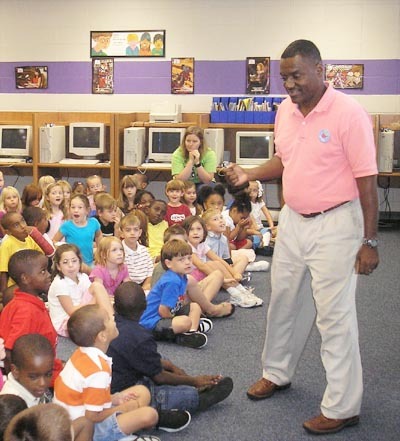 Yvette Jones-Smedley interviews storyteller Joseph D. Trimble. Joseph, a 2013 recipient of a Theatre Fellowships from the Alabama State Council on the Arts, recounts a short tale of many from his repertory about Anansi the Spider, and shares tips to budding storytellers.